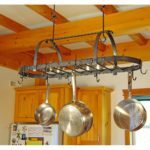 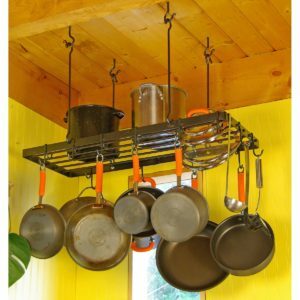 36″ long, 15″ wide, with 12 double pot hooks and 4 threaded ceiling screw hooks. 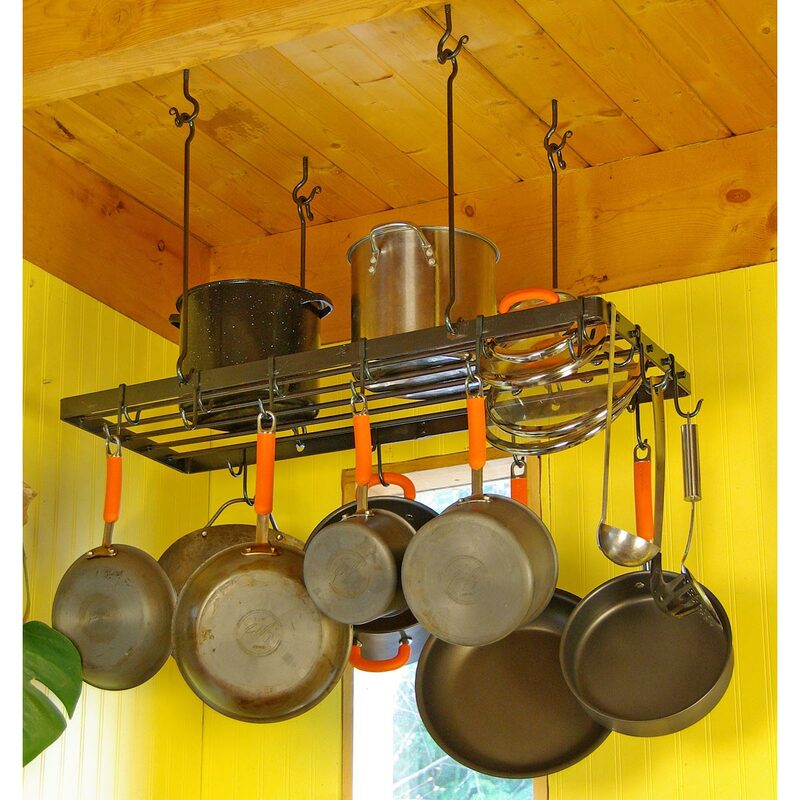 It can be hung from 2 hooks or 4 as shown. 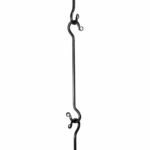 Total height 24″. 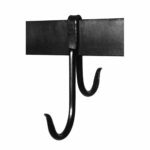 Screw hooks are 16″ apart for ceiling joists.